It is desirable to complement War Thunder Wiki articles with thematic videos to expand their themes. At the same time, the wiki does not have the feature to directly upload videos like images. Therefore, the desired videos must be first uploaded to a video hosting site, such as YouTube. To insert a video gallery through a visual editor, go to the "Template" section of the "Insert" menu. 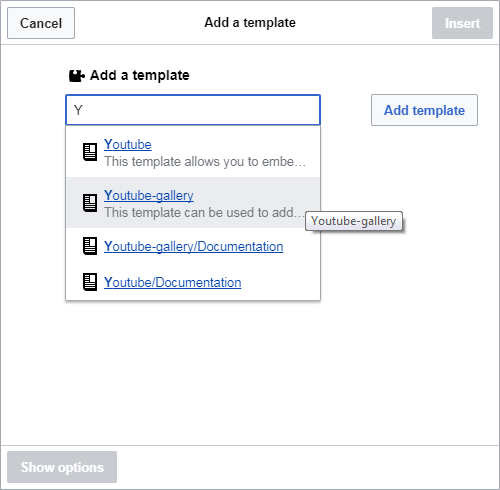 In the dialog box that appears, select the template Youtube-gallery and click the "Add template" button. The bold text will be the ID of the video. 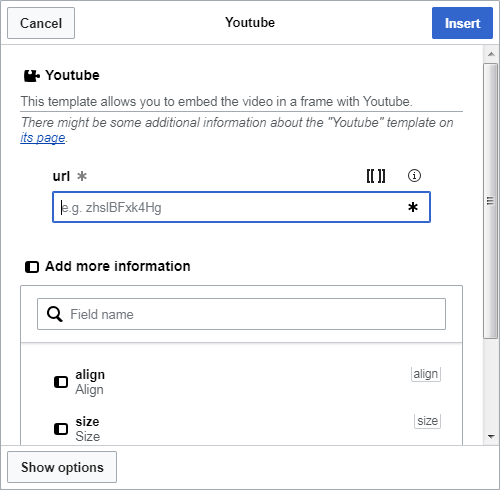 To insert a single video through the Visual Editor, you need to go to the “Templates” section just like in the previous example, but this time choose the Youtube template. 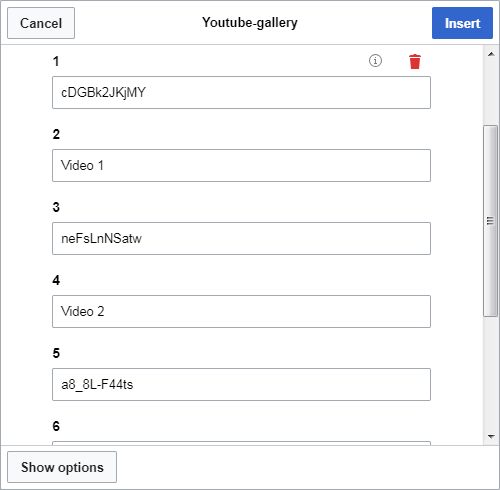 In the required "url" field, you need to insert the ID of the video from YouTube, the receipt of which was shown in the last example. 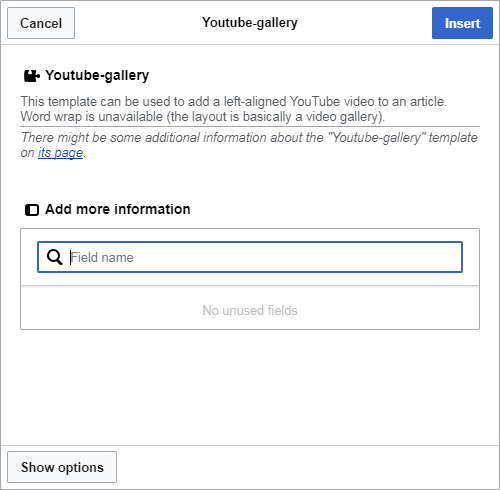 For the template, the additional parameters "align," "size," and "caption" are also available in the "add more information" section, the setting of which can be adjusted from the field box shown afterwards. After all the parameters are specified, click the "Insert" button. Caption - Caption that will be displayed under video. The number of videos in the gallery is not limited, but it is recommended to insert no more than three. Read more about the template: Youtube-gallery. Lines with optional parameters can be deleted. Read more about the template: Youtube. Edutopia content moved to YouTube. Please use the youtube service selector below. We do not recommend embedding YouTube videos using #ev. afterwards, then the text will not flow around the video. This page was last edited on 21 January 2019, at 09:54.